The 2016 model is available in a variety of versions and can be outfitted with a variety of packages and options. The Mini has always been a legendary sports car. Its iconic design, breathtaking handling and staggering performance have made it a favourite of car fanatics for what seems like decades. 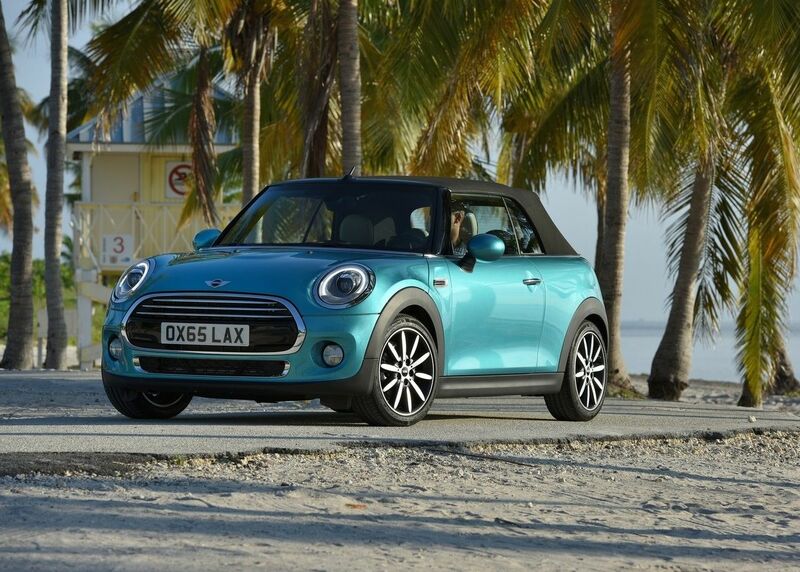 The 2016 MINI Cooper is much more affordable and accessible that one would think. With a base price of $23,535 for the 3-door version and $24,785 for the 5-door version, the Mini Cooper is available to a wide range of buyers. 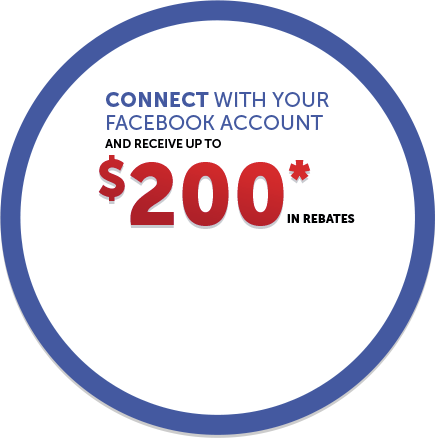 The 2016 model is available in a variety of versions and can be outfitted with a variety of packages and options. The base engine is a 3-cylinder, 12 Valve Twin Scroll Turbo powerplant that outputs 134 hp and 162 lb-ft of torque. Opt for the Cooper S variant and performance jumps to 189 hp and 207 lb-ft of torque thanks to a bigger four-cylinder 16 Valve Twin Scroll Turbo engine. The John Cooper Works version (only available in 3-door) is powered by a four-cylinder 12 Valve Twin Scroll Turbo engine that delivers 228 hp and 236 lb-ft of torque. Every one of these engines can be mated to a 6-speed automatic gearbox or a 6-speed manual gearbox. 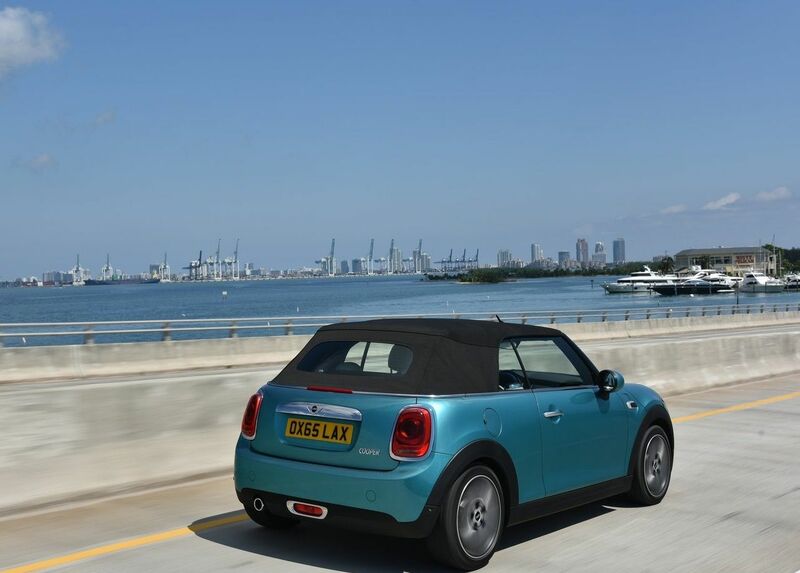 Although powerful, the Mini is very efficient; combined fuel consumption figures range from 7.1 l /100 km (manual) and 7.5 l /100 km (automatic) to 9.2 l /100 km (manual) and 8.4 l/100 km (auto) depending on the engine. The appearance of the Mini Cooper is unique. All models feature standard heated washer jets and heated exterior mirrors as well as body coloured mirror caps. Wheel options vary from 16” alloy wheels to 17” Race Spoke alloys on the John Cooper Works variant. 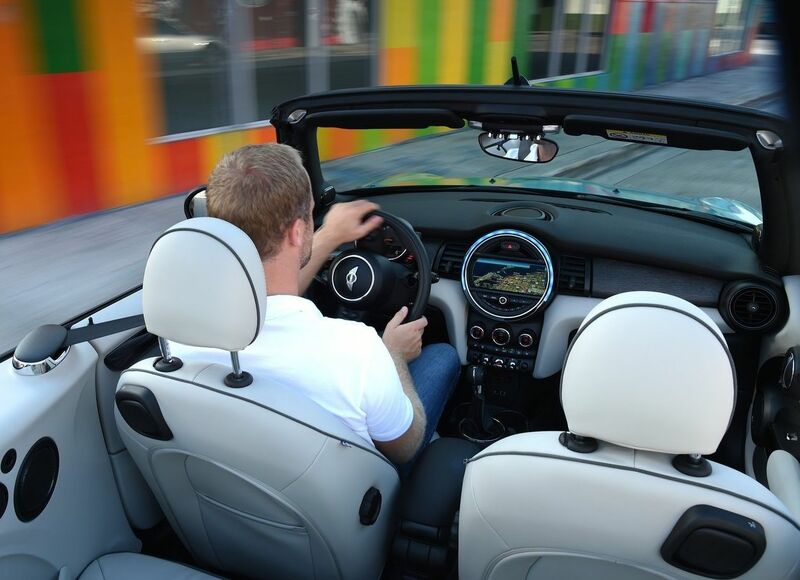 The Mini Cooper can also be outfitted with an optional panoramic sunroof. The Cooper and Cooper S models are available with the LED light package for more exterior style; this package features LED fog lights, LED headlights, LED adaptive headlights as well as white turn signals. 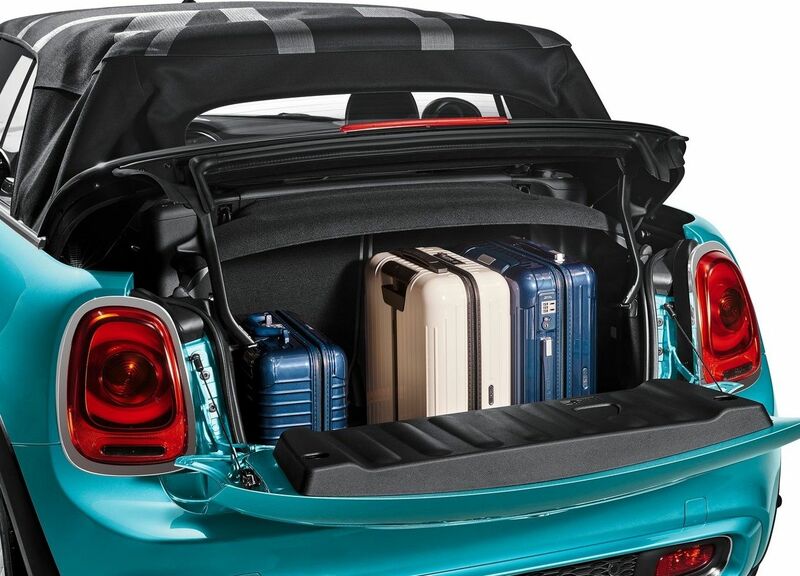 On the inside, the Mini Cooper has everything a modern, practical sports car needs. Standard features include the multi-function steering wheel with cruise control, leather sport steering wheel, the plush velour floor mats and seat height adjustment for the passenger. Air conditioning, satellite radio pre-wire and Media Connect for Bluetooth & USB devices are also very useful standard features. Opting for the John Cooper Works variant will add sports seats and the John Cooper Works leather steering wheel, which are perfect for track days. The Mini continues to impress with astonishing designs and efficient, yet very competitive performance packages and features that will please those who love to drive. 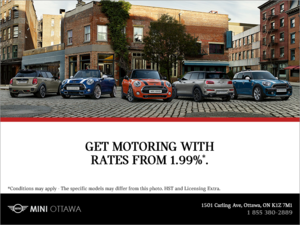 Visit us today at MINI Ottawa and see the 2016 Mini Cooper for yourself!